At Virtual Solution, we make mobile communication safe and easy for government and business. Headquartered in Munich with an office in Berlin, about 80 employees work daily to make mobile productivity on iOS and Android™ devices user-friendly and secure. 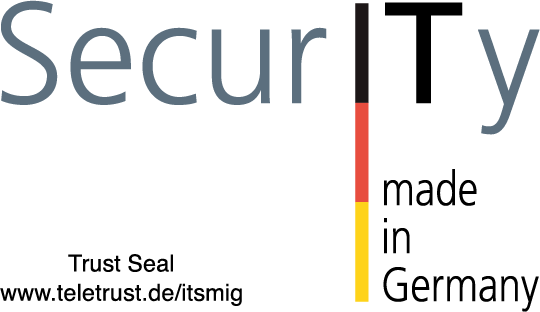 Locally developed, globally active – all security-related Virtual Solution components and respective backend systems are developed exclusively in Germany and proudly bear the trust seal “IT Security made in Germany” issued by Germany’s IT Security Association (TeleTrust-IT-Bundesverbandes IT-Sicherheit). Servers are located in German data centers and adhere to rigorous German privacy policies. Virtual Solution is part of the AppConfig Community and the application SecurePIM complies with AppConfig Standards. The AppConfig Community is a collection of industry leading EMM solution providers and app developers, whose mission is to streamline adoption and deployment of mobile enterprise applications by providing a standard approach to app configuration and management, making it simpler for developers to implement a consistent set of controls so that enterprise IT administrators can easily configure and manage apps according to their business policies and requirements. Cloud Services Made in Germany is an initiative for more legal security and transparency in Cloud Computing. All members have to be headquartered in Germany and offer support in German language. Contracts have to be drafted according to German law and the place of jurisdiction for all legal matters has to be Germany. Virtual Solution not only fulfills these criteria but aims to exceed them. All security-related components and respective backend systems are developed exclusively in Germany. Servers are located in German data centers and adhere to rigorous German privacy policies. 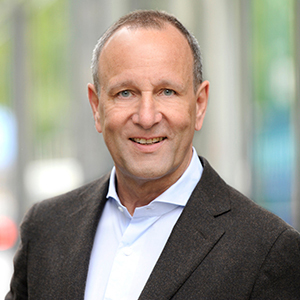 Günter Junk has been the Chief Executive Officer (CEO) of Virtual Solution AG since October 2016. He launched his career in the technology branch with the American company Hewlett-Packard immediately after having graduated in Communications Engineering from the University of Cologne in Germany. Following this step, Günter Junk played a significant role in the growth of Cisco Systems as Executive Director in Germany, and later on as the Vice President for Operations in the EMEA region. Günter Junk gained extensive experience in the security industry when working for Astaro, a networks specialist, and for Sophos, a UK company, including in his latest position as the General Manager of the Sophos Security Group. 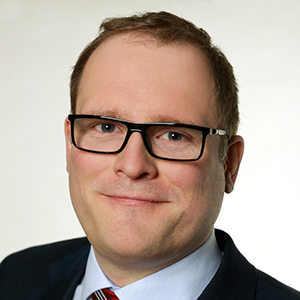 Marco Koschier joined Virtual Solution in November 2018 as CFO and is responsible for Finances, Accounting and Reporting, and is also Head of Human Resources. Following his studies of business administration in Graz, he worked in auditing at Deloitte in Moscow as partner. He then became Global Finance Director at Global Fashion Group in London and most recently worked as Area CFO for Russia, Ukraine, and Turkey at Puma. Clemens Hermann has been managing the Technology and Product Development Department at Virtual Solution since August 2017. After acquiring his degree in IT, he developed security-critical embedded software, after which he worked for Texas Instruments on the development of ultra-low power microcontrollers. Then he worked for GE Healthcare in the Engineering Department, and was responsible for the development of two globally successful software products, before moving on to Kontron AG as the Manager of its Design Center in Augsburg, Germany.